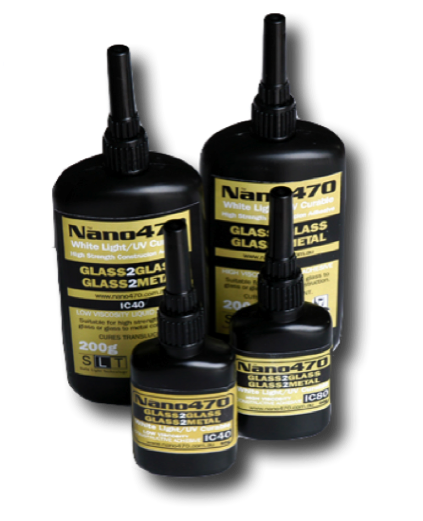 Nano470 IC80 is designed for bonding glass to glass, glass to metal. 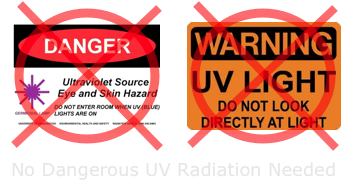 Nano470 IC40 / IC80 can be cured by irradiation with UV/Visible light of sufficient intensity. The cure rate and ultimate depth of cure will depend on light intensity, the spectral distribution of the light source, the exposure time and the light transmittance of the substrates. This product is light sensitive; exposure to daylight, UV light and artificial lighting should be kept to a minimum during storage and handling. It should be kept in an unopened container in a cool and dry location. 80 f to 210c f Storage below 80 f or greater than 210 f can adversely affect product properties. Material removed from containers may be contaminated during use. Do not return product to the original container. Keep away from children.